Prof. Hanne Damgaard Poulsen graduated as M.Sc. in Biology from Aarhus University, Denmark in 1981 and received her PhD in Animal Nutrition from The Royal Veterinary and Agricultural University, Copenhagen. 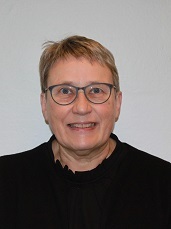 She was head of the research section for animal nutrition and physiology from 2000 to 2017 at The Department of Animal Science, Foulum, Aarhus University. Hanne Damgaard Poulsen has for many years studied minerals in livestock mainly pigs. Her research projects aimed to fulfil the animals’ physiological requirement for different minerals with as low environmental impact as possible. She has worked with zinc and pigs for many years and presented the first results on the effects of zinc oxide on post weaning diarrhea in weaned piglets at the EAAP meeting in 1989. 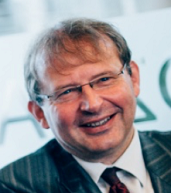 Prof. Zentek received his degree as veterinarian from the Veterinary school of Hannover. He obtained the national degree as specialist in animal nutrition and dietetics and is diplomate of the European College of Veterinary and Comparative Nutrition. He had an extraordinary professorship at the Hannover vet school from 1999-2001. After one year as research scientist in Bristol/UK, school of veterinary science, he was appointed on the chair of clinical nutrition at the Veterinary University of Vienna where he also became the head of the institute of nutrition. In 2005, he was appointed as professor at the Institute of Animal Nutrition, Freie Universität Berlin. The main research interests cover the role of nutrition for the intestinal microbiota and immunity of the gastrointestinal tract. Prevention of health disorders in domestic animals is one of the main topics of the institute with a specific focus on gastrointestinal diseases. 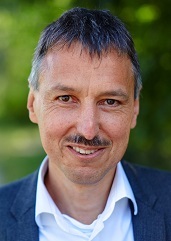 Prof. Zentek had directed a collaborative research group on the mode of action of probiotics in pigs and has been involved in many European and national research projects on feed and food safety. pig producers in Denmark and abroad. Prof. Lauridsen received her M.Sc. in Animal Nutrition from The Royal Veterinary and Agricultural University in Frederiksberg, Denmark, in 1994, and her Ph.D. in Food Chemistry from the same University in 1998. She most recently completed research training abroad at the School of Clinical Veterinary Science, Bristol University, UK, studying immunohistochemistry. Her primary areas of research include nutritional immunology and infection biology, animal models for human,basic and applied lipid nutrition, vitamins, antioxidants, fatty acids, and inflammatory markers. Prof. Lauridsen spent three years as the president of the Pig Commission of EAAP. 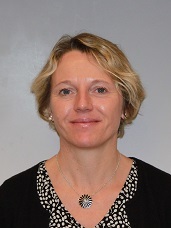 She has since 2012 been head of the research section for immunology and microbiology at the Department of Animal Science at Aarhus University, who is involved in many research projects on dietary interventions to prevent post weaning diarrhea. Graduated in 1983 as doctor in Veterinary Medicine at the University of Ghent. He is Full professor, director of the Laboratory of Immunology and chairman of the department Virology, Parasitology, Immunology. 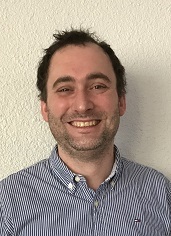 He is also promotor of Provaxs, a consortium of university laboratoria aiming to valorise research on prophylaxis and vaccine development using as a base new insights in host-pathogen interaction. The main research topic of his group is the intestinal mucosal immune system of pigs and its activation. An oral F4 immunisation model is used to evaluate mucosal immune mechanisms, to analyse the effect of potential oral delivery systems and adjuvants and to develop new immunisation strategies. One of the potential oral adjuvants, extensively studied, are ß glucans for which interaction with immune cells is studied and targeting of yeast ghost cells carrying antigen to the mucosal immune system is optimized. Other research topics are the immune response and vaccination against F18 verotoxigenic E. coli, Toxoplasma gondii and Chlamydia sp. in pigs and the host-pathogen interaction and immune response against enterohemorrhagic E. coli in sheep and calves. A strategy has been developed to clear these infections without using antibiotics. More recently food allergy in dogs is studied as well as oral desensitisation strategies. Eric Cox is author or co-author of more than 230 A1 publications and 6 book chapters and has given more than 125 oral presentations on international and national meetings. He is promotor of 37 PhD’s and actively participated in more than 325 conferences. Senior scientist at Wageningen Livestock Research in Wageningen, The Netherlands. 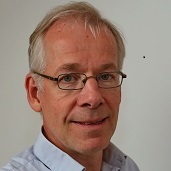 After graduating from the Wageningen University in 1987, he obtained his PhD at the same university in 1993 on a thesis entitled “Tannins in feedstuffs for simple-stomached animals”. He was employed from 1993 till 2003 by TNO (Netherlands Organization for Applied Scientific Research) as scientist animal nutrition. Since 2003 he is working at Wageningen Livestock Research, The Netherlands as senior scientist animal nutrition (pigs and poultry). His main areas of expertise are the nutritional evaluation of feed ingredients, digestive physiology in pigs, amino acid requirements and metabolism, and nutrition and health in pigs and poultry. Graduated in 2008 as doctor in Veterinary Medicine at the University of Copenhagen. 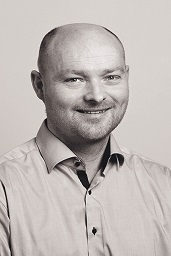 Nicolai has a combined background of practical herd management and research in porcine intestinal diseases. Nicolai has worked in the Danish pig industry as a veterinary pig practitioner and as a researcher at the University of Copenhagen completing his PhD thesis with the title “Porcine Intestinal Disease Complex in nursery pigs, with special focus on the prudent use of antimicrobials” in 2017. 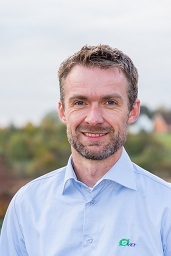 Nicolai is Senior Specialist at SEGES Danish Pig Research Centre with prudent use of antimicrobials and alternatives to zinc oxide as main research topics. He is currently running a project in collaboration with Danish veterinary pig practitioners, collecting knowledge and field experiences on practical approaches of weaning pigs without using a high level of in-feed zinc oxide and with a low antimicrobial use. Fabien Larcher graduated as DVM at the Ecole Nationale Vétérinaire de Toulouse in France. He spent 8 months in the end of his scholarship doing training in Danish Pig Farms and with swine veterinarians. He is now a practitioner working only for swine farms since 2009 for Selvet – Groupe Chêne Vert Conseil. His main interest topics are the technical management of pig farms and its relationship with swine diseases.